This next-generation automated system is the ultimate cutting solution for single-ply apparel products. The GERBERcutter Z1 is equipped with GERBERconnect remote diagnostics to ensure it’s always in top working order. The GERBERcutter Z1 helps you increase efficiency and optimize your cutting process. Comprehensive reports let you analyze system throughput, material yield, processing times, individual job statistics and more. The GERBERcutter Z1 has a simple and intuitive user interface making the workflow process easy to follow even for a novice. This will improve productivity while reducing errors and training time. 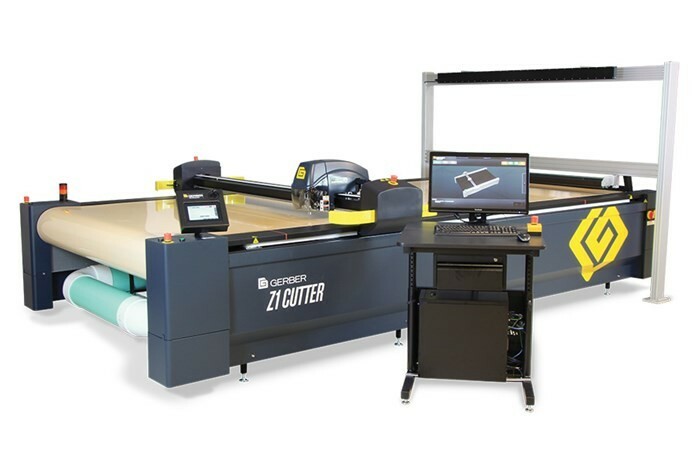 The GERBERcutter Z1 is built on a new distributed control system to which many powerful options like inkjet-printed part identification and ContourVision scan-to-cut systems can be added. The GERBERcutter Z1 is designed for maximum energy efficiency. It has a variable vacuum regulator that adjusts the vacuum according to the task at hand – even minimizing vacuum and power consumption when the cutter is idle.